HONG KONG, 9 March 2016 – Thermal solution specialist GELID Solutions unveiled the Silent Pro 14, a 140mm fan with Pro-grade features and ultra-silent operation. The GELID Silent Pro 14 is crafted for picky silent enthusiasts. It comes with precisely optimized fan blades featuring high air flow and high static pressure but ultra-silent operation. 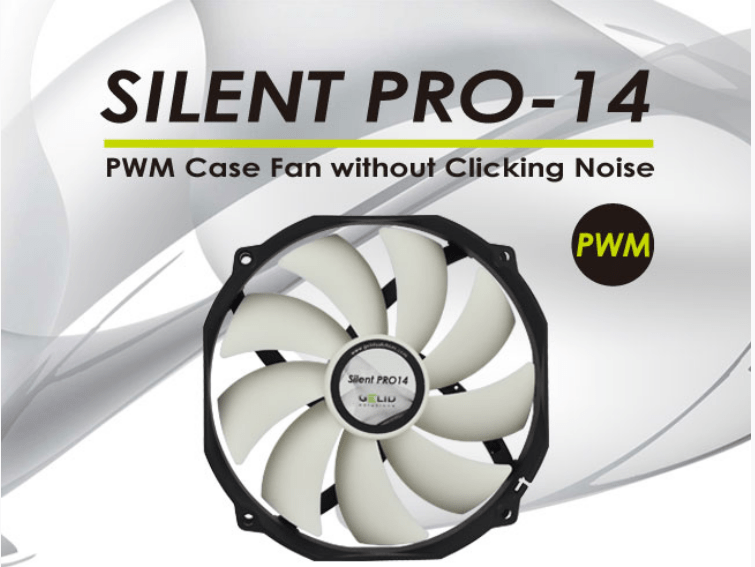 The newly designed PWM IC, a core part of Silent Pro 14, eliminates any clicking noise of the fan. Additionally, the intelligent GELID PWM (Pulse Width Modulation) control unit drives the fan at an extended speed range from 450 RPM to 1500 RPM, it keeps the fan silent but accelerates the fan speed whenever higher air flow is needed. The Silent Pro 14 uses the same mounting hole form factor as 120mm fans. Therefore it fits most PC Cases and CPU Coolers on the market. The Silent Pro 14 also comes with a set of special fan mounts made of high quality, temperature resistant, extra long-lasting rubber which helps to stop vibrations of the fan frame from dispersing into your PC case. “When you make a selection for a Pro-grade fan you don’t want to compromise between high quality, high performance and silent operation. The GELID Silent Pro 14 is a good mix of all of them”, said Gebhard Scherrer, Sales Director of GELID Solutions Ltd. The Silent Pro 14 is available now and has a MSRP of USD 13 or Euro 9.25.